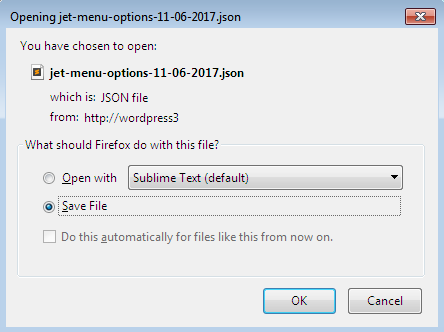 This block uncovers the process of exporting and importing JetMenu plugin settings. 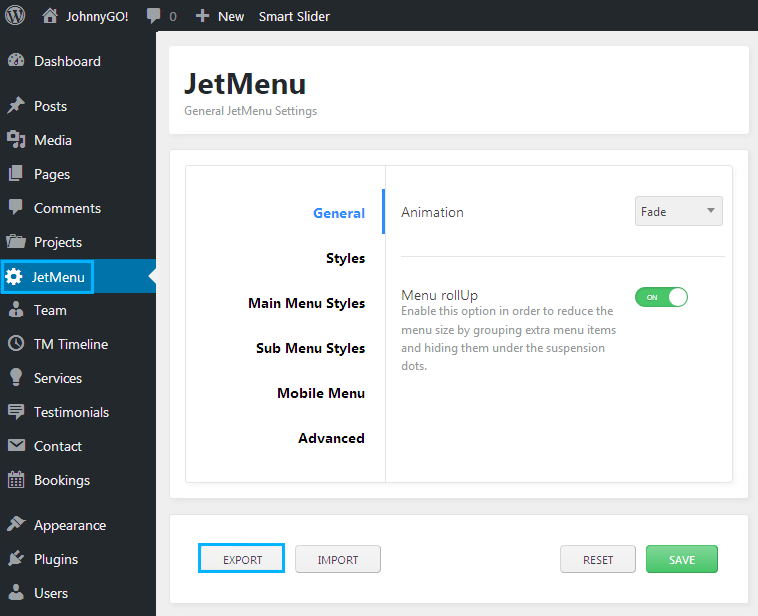 Once you’ve styled up JetMenu items, you might need to export the settings to use them all over again for another site. To do it, please, follow the instruction below. Navigate to JetMenu tab on the left of the Dashboard. Scroll the page down and locate Export button. Click it to export the settings. They will be saved in the form of .json file to your hard drive. Now you can use them all over again. As you’ve already seen, there is also Import button just on the right of Export button. To import the previously exported options, please, click it. A new block will appear below it. 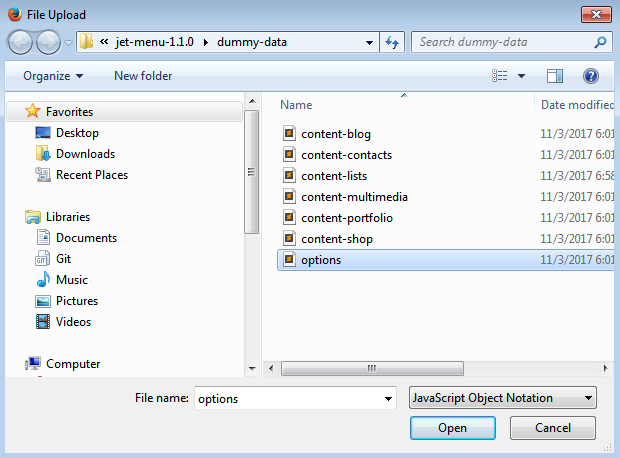 Here you need to click Browse button and browse your hard drive for the .json file you’ve previously exported. If the options are successfully imported, you’ll see the “Options successfully imported. Page will be reloaded. “ green notice. In the case you’ve changed some of the style settings, and you’re not satisfied with the results, you can reset the default menu style settings using Reset options. 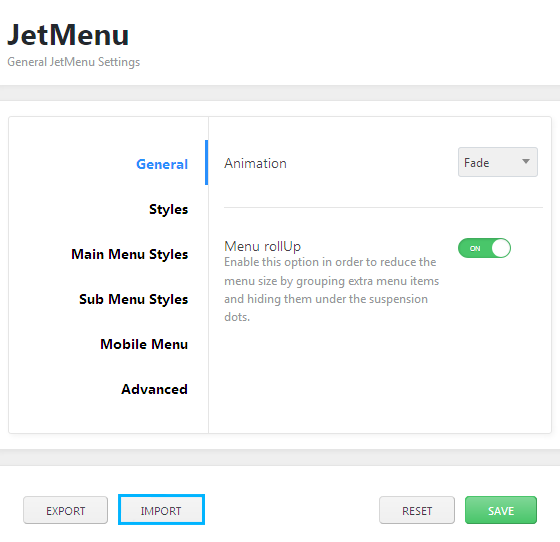 You can find Reset button in the bottom right corner of the JetMenu settings page. Click it to reset your menu settings. A notice will appear, informing you that all menu options will be changet back to the default ones. Right beside the Reset button you can find Save button. Click it to save the changes for the menu style.